Graphogen Assembly Compound has most definitely ‘Stood the test of time’! The compound was developed at the very end of the Second World War and was used widely in the assembly and bedding in of many aircraft engines. Car manufacturers, who immediately recognised the advantages of Graphogen, were soon to follow. Rolls Royce, Saab Aerospace, Perkins and Lotus have all embraced the benefits of Graphogen. Until the very start of 2016, Graphogen was manufactured and sold by Stamgo Manufa cturing Co Ltd, based in the south of England. It was the father of Simon Egerton, Stamgo's most recent Director, who developed Graphogen and was the inital driving force behind some extensive marketing in its very early days. 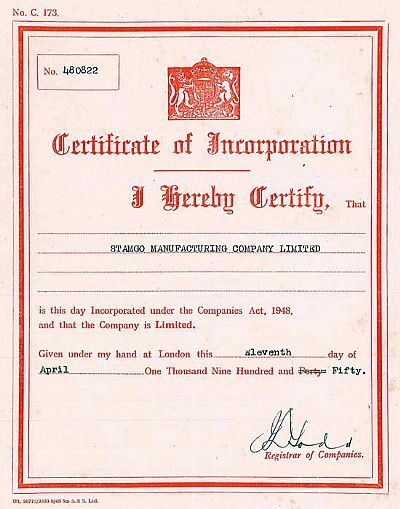 Here we can see Stamgo was registered back in 1950 and Graphogen has continued to grow from strength to strength over the past 65 years. In late 2015, Simon indicated he was looking to retire. The Directors of Precision Engine Services Ltd (Inverness) were extremely keen to take over the company as they themselves have, for a long time, recognised the benefits of Graphogen. In February 2016, ownership transferred north and the manufacturing and selling of the product has now moved to Graphogen Ltd. The product itself is completely unchanged although the range has expanded to include a smaller, blister packs that has been developed for all engine enthusiasts, and not just the commerial sector. 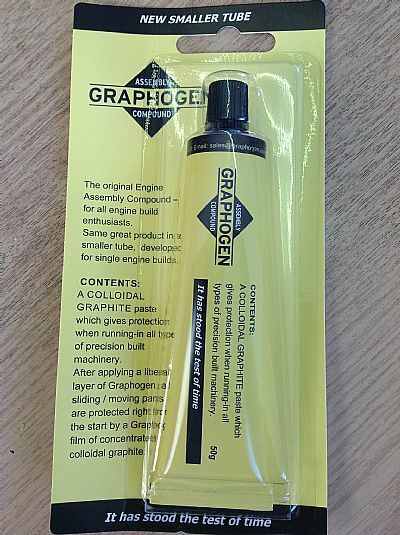 The only other change is to Graphogen's packaging but we have been very sympathetic to Graphogen's long standing identity - Graphogen is so often known as the 'yellow and black tube' rather than its name, and as such this remains unchanged.